Alchemy is a rich and complex esoteric tradition that has flourished world-wide since the beginning of recorded history, if not earlier. There are three main traditions: Western Christian, Indo-tibetan and Chinese Taoist. Within this diversity there are many common features, which are analysed, organized, and brought together in this comprehensive dictionary of terms, symbols, and personalities. 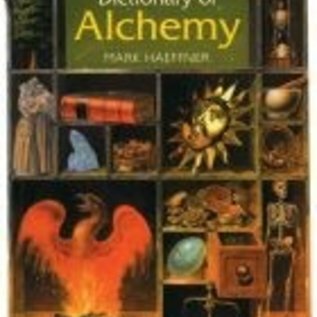 This dictionary is the distillation of many years' research into the extensive arcane literature. It is a reference work to guide the readers throught the labyrinth of pre-Newtonian science and philosophy. The dictionary covers not only the materialist dimension of the search for the elixir of life and the transmutation of metals, but also the inner search for the gold of mystical illumination. Jung called alchemy 'the projection of a drama both cosmic and spiritual in laboratorty terms'. This opus alchymicum goes beyond the bare analysis and interpretation of terms to present a harmonic, integrated vision of man and nature, which may help to heal the fragmented world view of modern science.